Section 1. Policy. Space weather events, in the form of solar flares, solar energetic particles, and geomagnetic disturbances, occur regularly, some with measurable effects on critical infrastructure systems and technologies, such as the Global Positioning System (GPS), satellite operations and communication, aviation, and the electrical power grid. Extreme space weather events - those that could significantly degrade critical infrastructure - could disable large portions of the electrical power grid, resulting in cascading failures that would affect key services such as water supply, healthcare, and transportation. Space weather has the potential to simultaneously affect and disrupt health and safety across entire continents. Maybe ‘space weather’ sounds better than ‘incoming objects’? 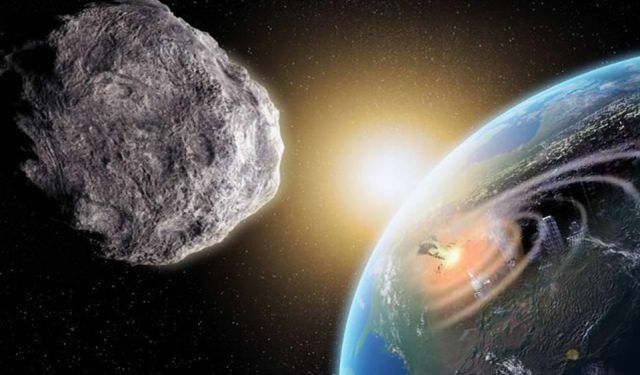 The earth is about to hit by asteroids or meteors or it has something to do with the Nibiru system? Or maybe this executive order has nothing to do with extreme space weather events but is a cover up to prepare the people for an upcoming war? As we know, tensions between United States and Russia continue to escalate quickly. Rather than to expect extreme space weather event we may wonder whether the earth is about to hit with EMP attacks or other space or ground based weapon technology if it comes to an escalation. Anyhow, it is clear the Government is prepping for something major but they aren’t say what.